I have seen many people getting infected from such scams, And thus scams are also promoted due to people foolishness as they are not much aware of security and common social engineering tricks, Recently i came up with a new Facebook scam and thus i have decided to make a post at hackers thirst about it. Yes, This is absolutely a scam which states that a user of Facebook is able to know that how many people have viewed there Facebook Profile if they will use their application, But Leme tell you that all such things are totally fake and thus you will get involved in the propagation of such things, Via Chat messages, Inboxes and Wall Posts to friends' walls without your knowledge that you are propagating a spammy and scam application. In other words a lame application which will just involve in spam. So, Don't follow links which are clamming that you will be able to know that who has viewed your profile. After this you will copy script and paste that in browser address bar and will hit enter while using facebook as told in this hack. But Stop have you check that Java script? All the Scam and Auto Spamming is based at that script, I have checked that Java Now! The bolded portion is the path of the script, You can put that path in browser address bar and hit enter after that you can easily see the coding infront of you in the browser. I have given all these stats after checking this Java script. 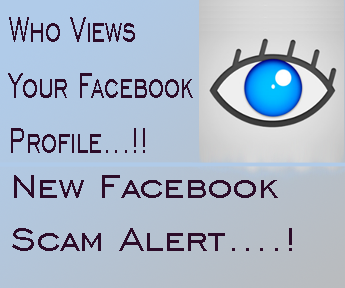 Don't Click and Use such Application which claim that you will know that how many people have viewed your profile. Also Never put java script in you browser address bar while browsing Facebook.Also Don't Use links claiming OMG! and Look What an Amazing and All Such that!